Successful developers never stop learning and technology never stops evolving. Here is a great opportunity for those of you who want to improve their technical skills for free. Microsoft Virtual Academy (MVA) offers online training to help technologists continually learn, with hundreds of courses, in 11 different languages. The MVA mission is to help developers, knowledgeable IT professionals and advanced students learn the latest technology, build their skills, and advance their careers. MVA is free of charge, and the entire service is hosted on Microsoft Azure. Be sure to create an MVA account so that you collect points and move up the leaderboard! Categories: Lifestyle | Tags: Training | Permalink. I’ve always been uncomfortable with the small size of my smartphone screen . So when the first 7-inch tablets size appeared, I considered merging my phone with a tablet to carry only one device with me. I am a big fan of the Phablets form factor and a 7-inch phone is a device with which I can live. After a long thinking , I finally decided to proceed with a change. 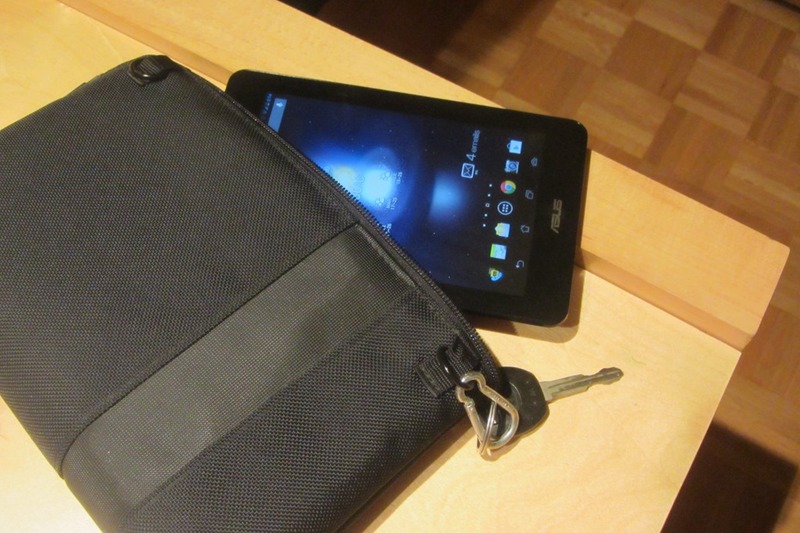 This summer, I exchanged my iPhone 4 for an Asus Fonepad tablet. Here is a summary of my experience during this transition. It was mandatory to obtain a tablet with 3G data. For the phone feature, I was ready to try Voice-Over-IP (VOIP) services such as Skype or Line2. Obviously, since I had an ipone 4, I evaluated the purchase of the iPad mini but when I saw the price (around $550), I decided it was too expensive. After evaluating all my options, I decided to opt for the Google tablet as I feel the price was fair (around $300). So in June, I bought a Google Nexus 7 tablet with 3G data. As I live in Canada and I need a phone number in the 514 area, I subscribe to the Line2 service and start testing VOIP. During my tests, I discovered that the services provided by Line2 was correct even if the reach of 3G data is not equivalent as the reach of mobile phone. For example, I could hardly received phone calls when I was in the basement of my house. Those were constraints that I could live with. Unfortunately, because of the design of the tablet, there was a problem that I could not tolerate. Since the speaker and the microphone were side by side, the microphone recorded the sound of the speaker which created a very unpleasant echo for the caller. All the people who were calling me experienced the echo and all were uncomfortable. Despite the fact that I enjoyed a lot my experience with Google Nexus 7, I had to consider another option. So, I canceled my subscription with Line2 and I sold my Nexus 7. By doing some research over the web, I discovered that ASUS is offering an almost identical clone of the Nexus 7 that include a mobile phone. 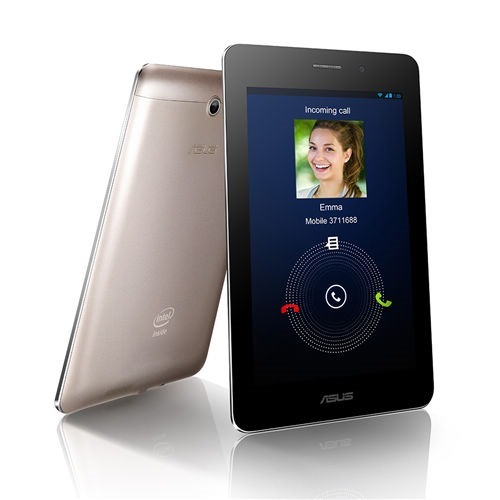 This tablet is the ASUS Fonepad and bought it for 270 dollars through a reseller who import them from Japan. I now have the best of both worlds, a real mobile phone and a 7-inch tablet . It’s been almost 2 months since I used this new tablet and I could not be more happier. From now on, I plan to use only phablets and I’ll probably change my device every year. 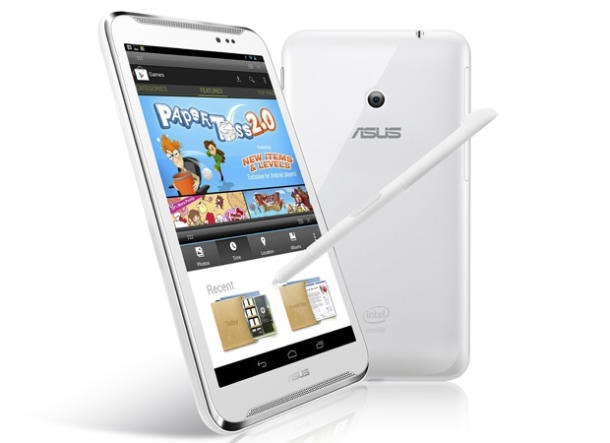 In this regard, the new 6-inch ASUS Fonepad Note seems like a promising device. Categories: Lifestyle | Tags: Mobile | Permalink.